Telecoms.com periodically invites expert third-party contributors to submit analysis on a key topic affecting the telco industry. In this article Bengt Nordstrom, CEO of telecoms consultancy Northstream, assesses some of the key things telcos need to be aware of if they want to make the most of the 5G era. 5G promises exponentially faster speeds, higher capacity, lower latency and more throughput than today’s networks. It will use existing LTE standards and technology as its foundation, but will incorporate a new air interface at a higher frequency band (greater than 6GHz) to deliver throughput speeds of up to 10Gbps, plus cell edge throughput of 10-100Mbps, and sub-one millisecond latency. 5G will also support billions more devices and connections per cell than current networks. But what will this really mean? What impact will 5G make and what issues will be different from previous technology shifts? Operators and OEMs worldwide are in a race to be the first to launch 5G commercially by 2020, and big hopes are tied to 5G to deliver growth and new usage areas. But for this to happen, operators and vendors must bear in mind several critical considerations and differences from previous introductions of new technologies. Previous generations of mobile technology were introduced during or following high-growth periods in users, revenues, markets and coverage. 5G arrives at a time when there is growth in data traffic, but not in revenues, users or markets. Furthermore, LTE’s superior and relatively untapped performance means the market is not in urgent need of another major technology migration. For these reasons – a static market, shrinking revenues, downward pressure on margins – operators should consider extending their current focus on cost savings and efficiencies, rather than new revenue streams, as the cornerstone of their 5G business case. With cost and efficiency in mind, 5G is an opportunity for operators to maximise spectrum resources by mothballing less efficient 2G and 3G networks. The build-up to 5G also comes at a time when the telecoms sector in general has reached a level of maturity. National markets are typically divided between three or four established operators, and are likely to remain so for the foreseeable future – or at least until regulators become more positive to consolidation. Coupled with 5G’s dependence on existing LTE infrastructure, this means it is highly unlikely that 5G’s arrival will be the opportunity for a new player to enter and disrupt conventional markets. The level of investment required would be too high for a new 5G entrant to ever be profitable. This removes at least one threat of competitive pressure on operators to invest aggressively in 5G. One that remains though might be the renewed competition between operators to launch fixed wireless solutions to connect rural residential markets through 5G. Another point of contention for 5G is its coexistence with WiFi. One reason data traffic growth in mobile networks has slowed down is that, worldwide, WiFi captures 40% – 50% of data driven from smartphones. Andreessen Horowitz predicts this will rise to 70 percent by 2019-20. As convenient free-of-charge public WiFi spreads, users are more reluctant than ever to pay expensive (or even less expensive) cellular data tariffs. One aspect that prevents WiFi from disrupting cellular even more is the absence of a functioning business model in which users have easy access to and between different public WiFi networks. WiFi often offers faster speeds indoors compared to cellular networks, which have typically been built with large-scale outdoor coverage as a priority. With most mobile data being consumed indoors, it’s not surprising that WiFi leads the volume race. With 5G’s technical capabilities and higher frequency bands, specifically intending to solve cellular’s reduced performance indoors, it is less clear how the balance will look in the future. Between now and 2022, WiFi-based solutions are likely to capture a lot of the same market opportunities that operators have in mind for 5G, and the issue of whether WiFi will ever be a benefit for cellular operators is still up for debate. From a technical point of view, 5G architecture makes it possible to seamlessly combine WiFi spectrum with cellular spectrum as if it is just another carrier aggregation. That said, by the time 5G launches, the WiFi world will have moved on as well. The indoor coverage battle between WiFi and 4G/5G will therefore be one of the most interesting developments to follow over the next few years. 5G is set to play a large role in the expansion of existing IoT services and the roll-out of new ones. By the time 5G is launched, IoT will have reached huge volumes and be deployed over multiple technologies. With 5G there is an opportunity (and perhaps an expectation) for operators to not only manage the connectivity alternatives but also provide products and services alongside connectivity. This will be a requirement if operators want to derive revenue from IoT beyond a low single digit percentage of their total revenue. What this means in reality is that operators need to develop or acquire skills that they do not possess today, mainly in the solutions and system integration space. From now until launch in 2020, it’s crucial that operators and vendors properly consider their 5G options and attach realistic expectations to what it can deliver. 5G will happen – but it will only be successful on a global scale and deliver meaningful growth if the industry looks beyond the current race to be the first to launch, and instead broadens its focus. 5G is not simply another iteration of radio technology. Operators must consider the practicalities of 5G and commit now to the transformation required to implement new core network architecture and other virtualization processes. Simply adding 5G radio to existing core network architectures will bring only marginal benefits. Critically, from a commercial perspective, operators must formulate a coherent business strategy for 5G – what specific services and applications they believe it will be used for (including IoT), how they will enable other industries to bring them to market, who they will work with to do so, and how they intend to monetise them. Only then can 5G be considered a success. Bengt Nordstrom is CEO of strategic mobile telecoms consultancy Northstream, which he co-founded in 1998. 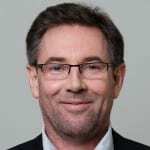 A former CTO and Executive Director of Hong Kong mobile operator SmarTone, Bengt has also held senior management positions at Ericsson, Comviq and consultants Netcom. In addition, Bengt was a member of the Executive Committee of the GSM Association and chaired the GSMA’s Asia Pacific Interest Group. Are there services which need 1ms latency even till 2020 or beyond.. Also if this figure can realistically be achieved or not..? If 5G is all about getting the ecosystem ready, why do we always go the 3gpp way?